TalentIT Recruitment and Career Fair brings together employers in the ICT sector and students, researchers and recent graduates interested in digital services and the vast opportunities offered by the field of information and communication technology. 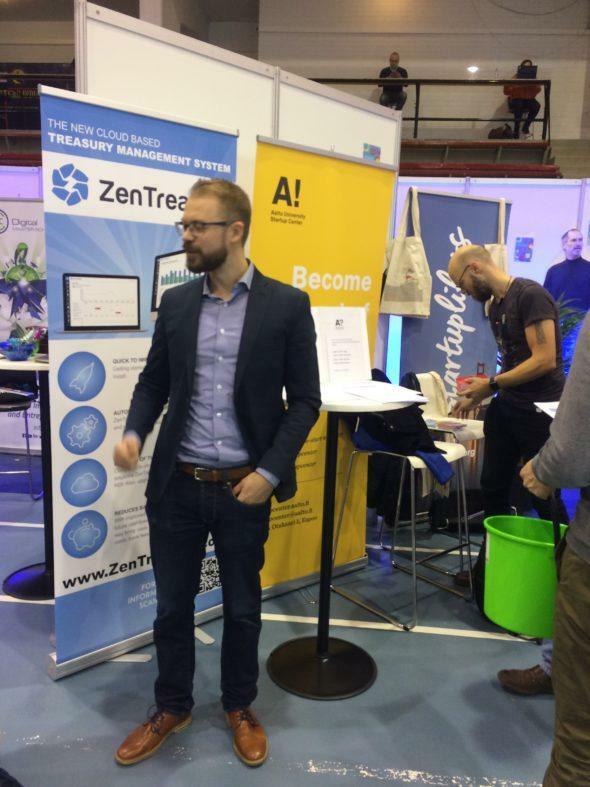 Aalto Startup Center had a booth at talentIt and shared it with their teams that are actively looking for talent. The event included over 100 exhibitors operating in the ICT sector and over 2,500 guests attended throughout the day. TalentIT is arranged by Aalto University Advancement and Corporate Engement and is run yearly. Five Aalto Startup Center companies participated at the fair and met with potential employees. These companies are activitely recruiting. See what kind of jobs our startups are offering at the moment. Sellforte, is looking for a backend developper, frontend developper, data scientist, project manager and interns. And ZenTreasury is also looking for a Software Developer. And Ultrahack is always looking for talent to join their team and activities.